Lincoln Road was originally a forest of mangroves. It became a social center and the home of prestigious retailers such as Saks Fifth Avenue thanks to Carl Fisher back in 1912. It went through many ups and downs until the 1990’s, when it was booming again and hosted many shops and restaurants, establishing itself as one of the main entertainment spots of Miami Beach. Now Lincoln Road is growing to a new phase as a few local, New York and international investors are buying properties, renovating buildings and attracting new retailers. Prices are soaring, leading to an average of $5,000 per square foot to purchase a building and of $300 per square foot to lease. Pushed away by the increasing prices, some of the restaurants that had been there for years such as Tiramesu and Van Dyke Cafe have left the famous pedestrian road as well as a few independent retail stores. Some retailers see things big as Gap and Apple are joining H&M and Forever 21 to open two or three-story shops and new comers include : British clothing designer Ted Baker, Italian cosmetics brand Kiko Milano, Argentinian gelateria Freddo and elegant French macaron boutique Laduree. 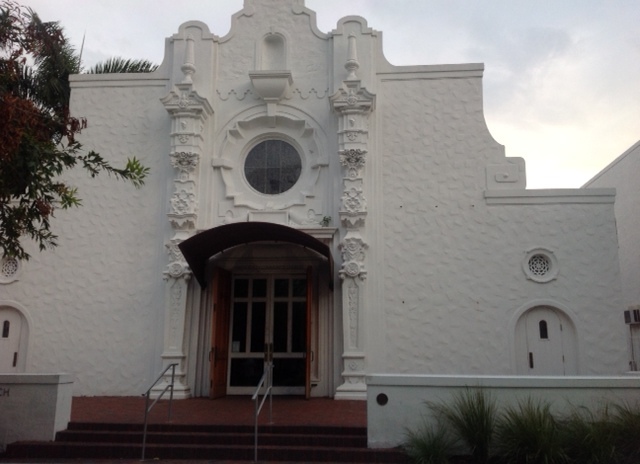 The Miami Beach Community Church, built in 1920, the oldest church in Miami, is facing severe financial difficulties. After some debate and controversy, Miami Beach commissioners accepted the proposed plan to develop the front courtyard section of the church into The Touzet-designed three-story property combining retail and a roof-top garden. The church had to make a choice : disappearing or accepting to redevelop a section of its property and lease it for $100 million dollars over 50 years. This is a good example of the challenges currently questioning Lincoln Road’s identity as it is reaching a new growth : how to attract large local and international brands while keeping some sense of a local community and preserve a little bit of the area’s legacy ? As a residential and commercial real estate agent working in the Miami area, I enjoy writing about current and future massive real estate projects that will inevitably transform the area and impact how we buy and sell real estate in South Florida. I do not often write about Aventura, although I know the area well, considering that most major developments are usually taking place elsewhere. However, today, I am writing about a significant construction project that will be taking place in Aventura : a new expansion of the Aventura Mall is being negotiated between its owner, Turnberry Associates and the City of Aventura. The expansion of Aventura Mall would add a three-story wing and approximately 240,000 sf of additional retail and restaurant space between JC Penney and Macy’s as well as a seven-story parking garage. This would push Aventura Mall to become the second largest mall in the United States. The large shopping center was completed in 1983, went through renovation in 2006, which added contemporary art works throughout the mall from renowned artists ( Turnberry Of The Arts initiative ) and a previous expansion in 2008. This expansion brought Nordstrom, a new three-story wind of retail space and a three-story parking garage. As reported in Miami Today, Aventura Mall is said to draw an average of $28 million visitors a year, combining residents and tourists visiting from all over the world to shop at Burberry, Michael Kors, Cartier or Abercrombie & Fitch, Victoria’s Secret or Gilly Hicks. Aventura Mall is also the home of a 24-screen AMC movie theater, which attracts thousands of locals every week. No confirmation and commencement of construction date have been released yet but it seems like this new expansion will come through at some point and will certainly draw more local and international visitors to Aventura. Also, this expansion will most probably add value to the local residential and office real estate. Nearby residential buildings, which are sitting along or in front of the Aventura golf course, such as Turnberry On The Green, Turnberry Village, Porto Vita, Hamptons etc…will see their value enhanced by the arrival of additional restaurants and retail brands in the area. This urban development project has been announced over a year ago, when the City of Miami approved the plan proposed by South Florida developer and art collector Craig Robins to change the land use and rezone four blocks in the Miami Design District. The plan offers to create a $312 million luxury shopping and entertainment destination, created as a partnership between Craig Robins and a subsidiary of the French luxury group LVMH and will feature stores for 50 luxury brands, as well as restaurants, a pedestrian ( and shaded, thanks to the future implementation of oak trees ) promenade as well as hundreds of parking spaces. As many of you know, there are already a few big names already there, such as Dior, Luis Vuitton, Prada, Hermes, Pucci, Cartier etc….which are temporary stores, which have been set up before the final ones open in the new shopping center. This project will be dramatically changing the area, and The Bal Harbour Shops are no longer the exclusive spot to purchase luxury brand clothing and accessories. Also retail, office and residential real estate values have been soaring in the neighborhood, and developers such as The Related Group and Jorge Perez are offering new projects in the neighboring streets, and possibly a hotel. Triple net retail prices per square foot and per year have gone from $50 three years ago to over $150. 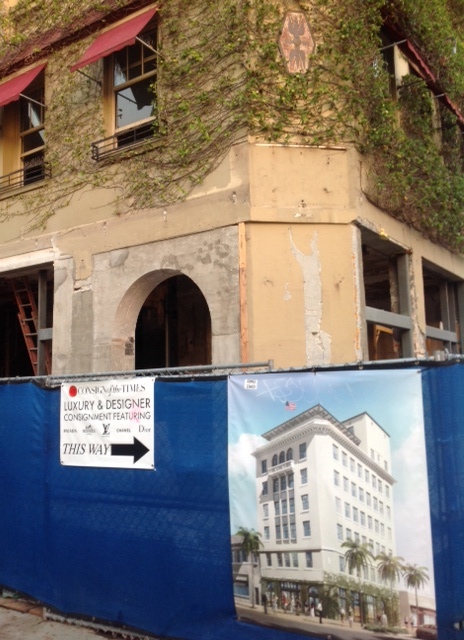 Baltus House, a new residential project, developed by The Related Group, will be sitting a few minutes away from the Miami Design District, on Biscayne Boulevard. The new construction residential building will feature 167 apartments and will be 17 floor high. 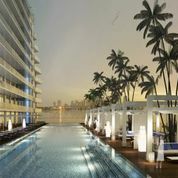 The pool and fitness center will be located on the 7th floor and the top floor will include a roof top and two jacuzzis. Launching prices are very affordable, considering what is happening in the area as launching prices range from $245,000 to $570,00 for condos going from studios to two bedrooms with living room. Reservations and contracts are being signed now, groundbreaking is scheduled for October 2013 and estimated completion in March 2015. 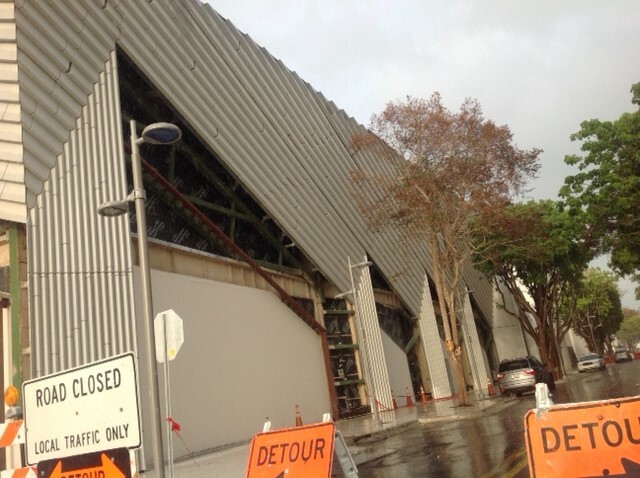 Of course, this building will have its special touch of art, considering that there are many art galleries in the area. Developer and avid art collector Jorge Perez has chosen Venezuelan artist Jaime Gili, based in London and represented by the Saatchi Gallery, and Spanish artist Lluis Barba, from Barcelona and represented by the Dean Project Gallery, based in New York and Miami Beach, to create commissioned artwork for the common areas and lobby of the new construction project. Do not hesitate to contact me if you are interested in receiving more information about Baltus House. After seeing a few of its key retail stores leave such as Louis Vuitton, Cartier or Dior for Aventura Mall or the Miami Design District over a couple of years ago, The Bal Harbour Shops have launched their “counter attack”. 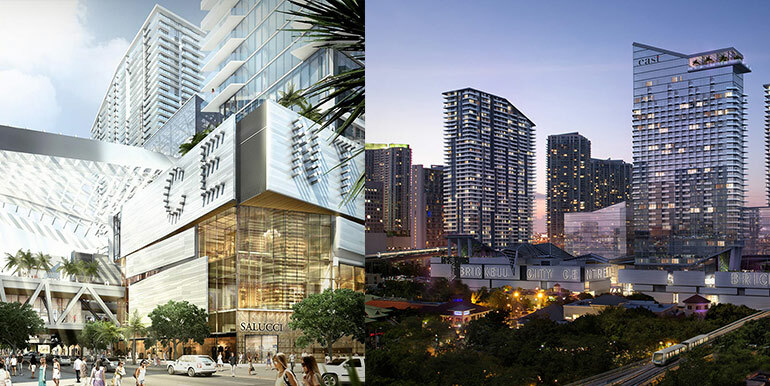 First, they are partnering with Swire Development, the Hong Kong- based developer, for the retail component of ambitious mixed-use development Brickell CityCenter, which will be located West of South Miami Avenue, between SW 7th and 8th streets. Second, they will expand by sf 200,000 within the next couple of years. After endless years of negotiation with their neighbor, the Church By The Sea, they got to negotiate to use their land and develop a more modern, eco-friendly church. The Whitman family, who owns the shopping center, also bought the Suntrust Bank building located on 96th Street and Collins avenue, to expand further their presence in the neighborhood. 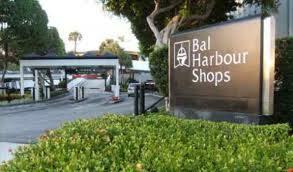 The Bal Harbour Shops are quite famous for their average sales amount per square foot, which is said to be the highest in the United States : $2,793 of sales per square foot in January 2013, a 15% increase from January 2012. 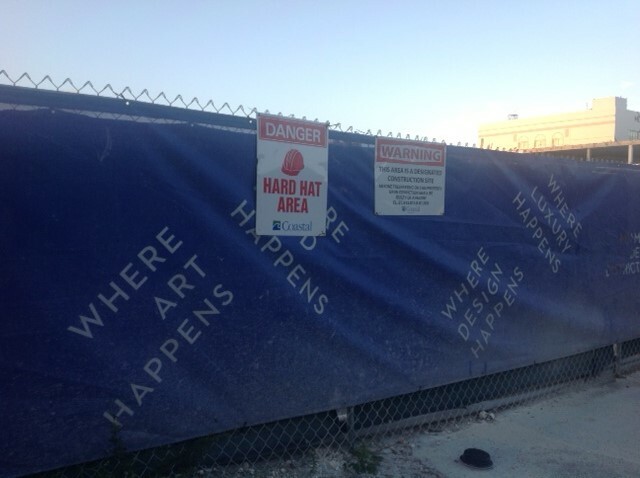 I have written a few posts about the transformation of the Miami Design District, however as the area seems to be changing every month and I drove around there earlier today, I feel like writing about it again. A few luxury stores have opened over the past 4 months, including Cartier, Louis Vuitton, Dior Hommes, Prada, Celine and more of them are on the way. The ambitious mixed-use real estate project of Miami-based developer Craig Robins and French luxury mega group LVMH seems more tangible as a higher number of luxury boutiques are opening-up and cranes are demolishing old buildings to free some space for the future pedestrian shopping center. Thes boutiques currently occupy temporary spaces and will move to their permanent homes when the new shopping center opens, sometime in 2014. 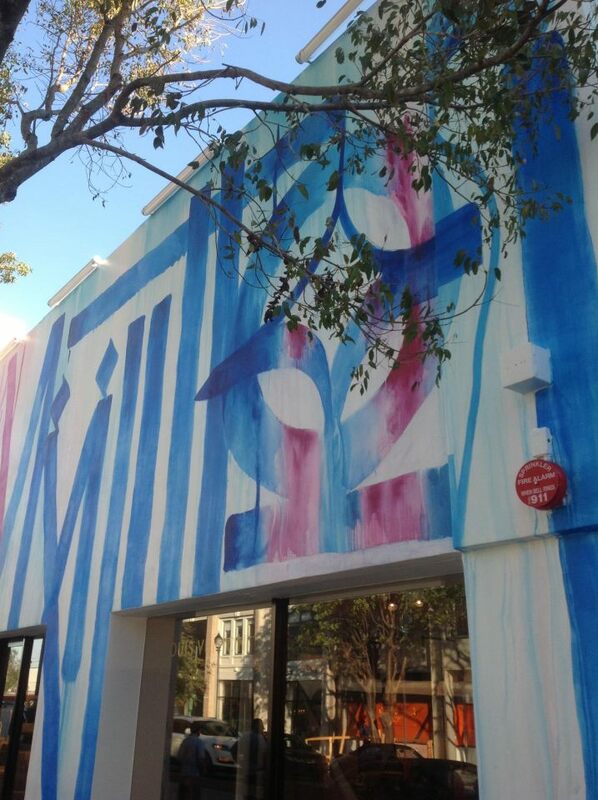 The Miami design District is changing at such a fast pace that my real estate company has even created an interactive map to show the boutiques, restaurants and art galleries not to be missed in the area : find out more HERE. Developer Asi Cymbal is also developing on a mixed-use project there that could be called “Museum Village”., located close to the De la Cruz Collection exhibition space on 41 St. Most of these future buildings , stores and offices will be designed by nationally or internationally known architects. Oak trees will be planted and promenade areas will be created to offer shade and attract pedestrians. Rolex will apparently open too and is said to have recently signed a lease for $175 a sf per year, when the price per sf per year was only $35 just 4-5 years ago. Hermes will open a sf 10,000 flagship store in the Fall 2013 and more glittery brands will appear such as Bulgari, or Pucci. Craig Robins is one of this city’s visionaries who started purchasing properties in the area 20 years ago and is now going to transform the way we see retail in South Florida. I felt quite strange when I saw that sign, featured in front of one of the doors of the Barnes and Nobles store in Aventura : ” We are closing on December 31st, 2012. Please visit us at…. in Fort Lauderdale”. Driving all the way to Fort Lauderdale, really ? When I asked a few staff members of the store about the reason behind this unwelcome news, I was told that Barnes and Nobles is not leaving Loehman’s Plaza due to a decline in the business of selling books through a “real” store. The shopping center landlord just does not want the book retailer to stay. Guess what ? A Saks Fifth Avenue store and more restaurants are planned to take over the space that will soon be left empty. What a shame. More clothing and food, that’s all we need in South Florida… Barnes and Nobles had been there for over 20 years, being an important place of interaction and learning for the community. Students, book lovers, parents and kids, magazine aficionados or people just willing to wander around would the book shelves. The book retailer is currently looking for another location nearby but I was said that it may take up to a year for us to shop at Barnes and Nobles again, without having to drive all the way to their Fort Lauderdale or Coral Gables locations. Therefore, take advantage of the sales applied on some of their books, calendars and other gift ideas to end your holiday shopping as the store will only be open for less than 2 more weeks. In the meantime, fashion stores are indeed booming in Aventura as H&M opened its Aventura Mall boutique last Friday in a very noticeable way. Hundreds of people waiting for the H&M store opening. After the red-carpet event to launch the opening of H&M on Lincoln Road a couple of months ago, Hundreds of people where lining up all around the new Aventura store of the Swedish clothing retailer a couple of hours before the opening. Many happily screamed when the doors opened while dancing to the sound of the music being played by a DJ mixing in one of the window displays.